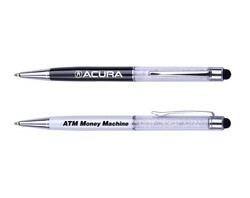 Get in the hands of your clients! 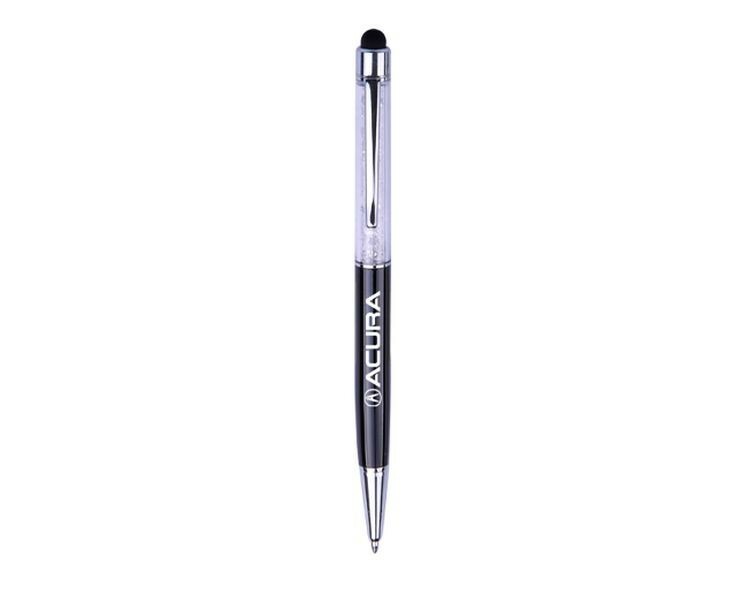 This metal ballpoint pen comes equipped with a stylus on the end, and a fashion forward gemstone upper barrel. 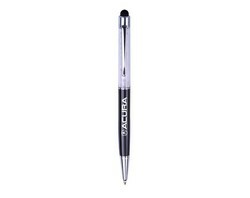 Choose from black or white, for this classic sophisticated pen! 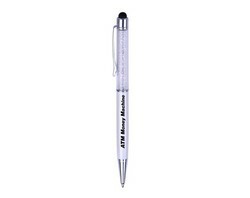 This promotional pen also includes a single color/single location imprint, perfect for brand exposure! Type: Twist action. 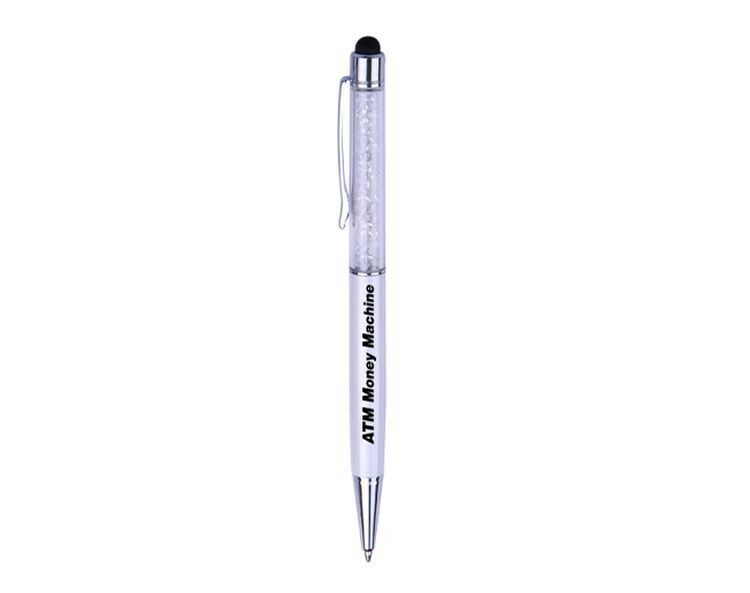 Refill Specifications: Metal cross refill 67mm.